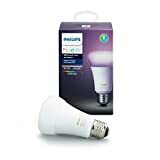 Philips Hue smart lighting is pretty expensive in general, so it makes sense that the company’s products are always best-sellers during big sales events like Black Friday and Cyber Monday. 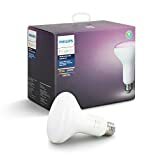 Taking advantage of rare opportunities to save on Philips Hue bulbs is a must for anyone looking to expand his or her setup. 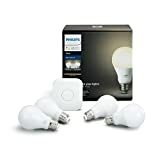 Well, we have good news for all you Cyber Monday 2018 shoppers out there: all of Philips Hue’s most popular smart lighting products are on sale today at a discount. 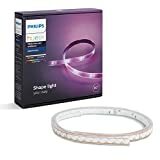 Snag a $90 Philips Hue White and Color Ambiance LightStrip Plus Dimmable LED Smart Light for $59.94, a $50 Philips Hue White and Color Ambiance A19 60W Equivalent Dimmable LED Smart Bulb for $39.99, or a $60 Philips Hue Bloom Dimmable LED Smart Table Lamp for $47.99, which is one of a few deals that wasn’t available on Black Friday. 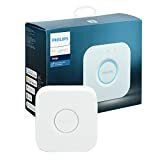 Check out all of the best Philips Hue Cyber Monday 2018 deals below. Or, if you want to check out some deals on much less expensive smart lighting solutions, check out Amazon’s big Cyber Monday blowout on Sengled smart bulbs. LIMITLESS POSSIBILITIES: Choose from 16 million colors to instantly change the look and atmosphere of your smart home or control your lights with your Voice. Requiring the Philips Hue Hub (sold separately) for the full Hue experience. Designed to fit 5-6 inch recessed cans. SMART VOICE CONTROL: Control your Philips Hue smart lights with your voice using Alexa, Apple HomeKit, or Google Assistant. Pair it for home automation with your existing Nest or Samsung SmartThings system. EASY INSTALLATION: To install, simply screw the smart bulbs into your desired light location, download the Hue mobile app and pair your Hue Hub. Control smart-bulb-equipped lamps and overhead lights via the Philips Hue App. EXPAND YOUR SMART HOME: Easily expand your smart lighting system with alexa, google home, and apple homekit-compatible accessories (sold separately), such as a Hue Dimmer Switch, Hue Tap, or Hue Motion Sensor. Enjoy your own personal light show at home, capable of millions of colors and shades of white light, able to sync to your favorite music, movies, and games for an enhanced experience. Designed to create indirect ambient lighting, this light is a perfect way to highlight specific furniture or architectural features in your home. Simply place it near the object and plug it in.